RSS: If Patel Statue Can Be Created Then Why Not Have A Law For Ram Temple: The RSS has questioned the Modi government that when the statue of Vallabhbhai Patel can be made in the country, then why can't the law be made for Ram temple? This statement came from the side of the association coordinator Dattatreya Hosbale. He was addressing a gathering held by the Vishwa Hindu Parishad and some other Hindu organizations. Hosbale said, "If the statue of Sardar Patel can be built on the banks of Narmada river in Gujarat, then why can not any law be passed to build a grand Ram temple?" 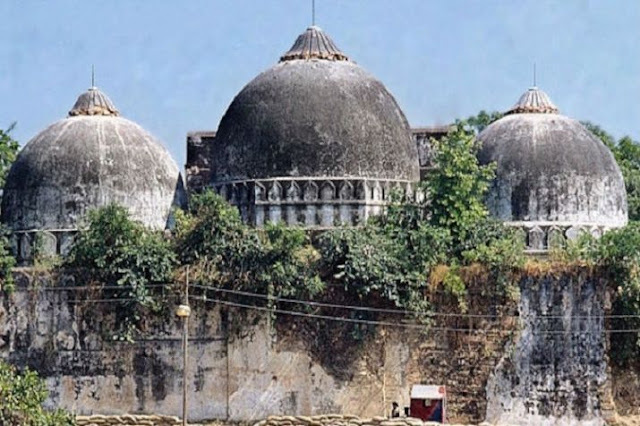 Before the statement of the Sangh, Vijayadashmi rally in October RSS chief Mohan Bhagwat had also said that the law should be enacted in Ayodhya for the construction of Ram Temple. Hosbale said, "PV Narasimha Rao had told the then Prime Minister of the Supreme Court that if the remains of the temple are found in the archaeological survey, then the disputed land of Ayodhya will be provided for the construction of the temple. The remains of the temple were also found in excavation but now the court says that this issue is not in its priority. The Supreme Court has constituted a separate bench but has not yet given any decision on this pending issue. " In September 2010, Allahabad High Court divided the 2.77 acres disputed land into three equal parts. Where is the statue of Ramlala, the land was given to the Hindu Mahasabha. One part was given to the Nirmohi Akhara, which included Sita Kitchen and Ram Chabootara. The remaining one-third part assigned to the Sunni Central Waqf Board. 2011, the Supreme Court banned this decision of the Allahabad High Court. 14 petitions are filed in the Supreme Court against the High Court verdict.